On Tuesday, Sarah Huckabee Sanders held a press briefing. 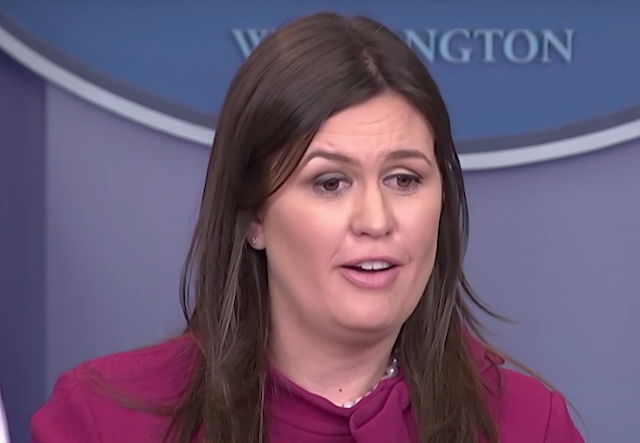 What follows is a partial nonverbal analysis of a crucial few seconds of this event when a journalist asked Ms. Sanders' to explain one of President Trump's recent tweets (included immediately below). JOURNALIST (beginning at 5:00): ... First a clarification from some of the President's Tweets over the weekend. 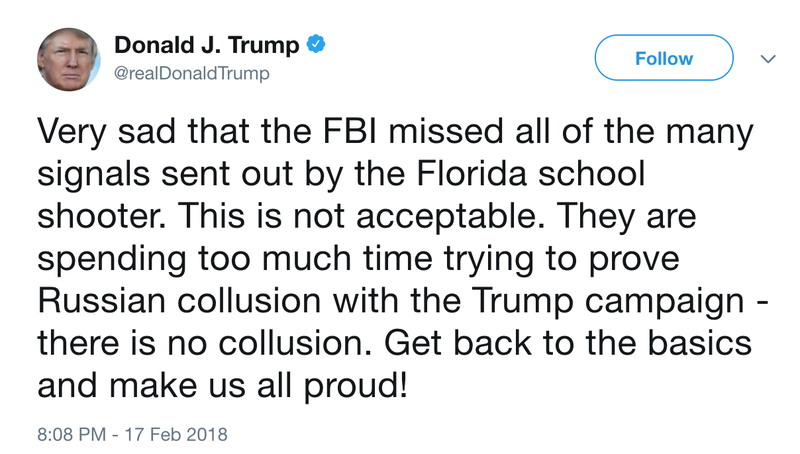 The President doesn't really think - that the FBI failed to stop the Parkland Shooter because it was - too involved with the Russia Investigation, does he? SARAH HUCKABEE SANDERS: I, I, I think he was speaking, ahhhh, n-not necessarily that that is the, the, the cause - I think we all aaum have to be aware that the cause of - t-this is - that of a deranged individual, ah, that made a decision to take the lives of seventeen other people. Ahum, that is the responsibility of the shooter, ahum, certainly not the responsilibility [sic] of anybody else. 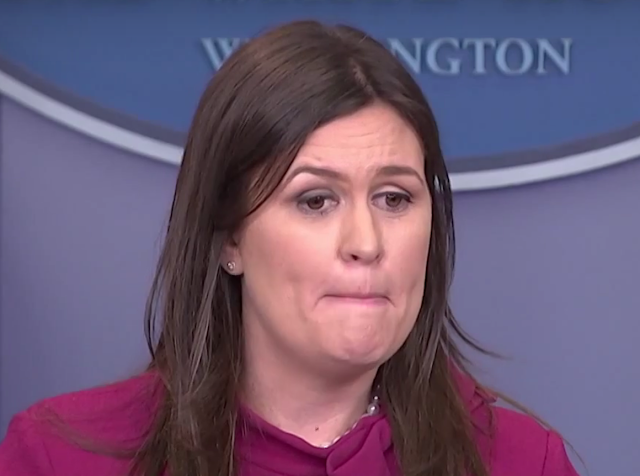 During 5:20, as Ms. Sanders says, "aaum" - she displays a simply classic Inward Lip Roll. Because of its brevity, this is also a borderline Microexpression. An inward lip roll is a manifestation of our psyche trying to suppress the outward display - as well as the inward growth of an unwanted emotion. The emotion/behavior Sarah Huckabee Sanders is trying to suppress is joy/laughter. During the next approximately 1.2 seconds - as Ms. Sanders continues her sentence with "... have to be aware ...", we see her in various stages and configurations of a partially suppressed smile. These are profound examples of what, in nonverbal parlance, is known as Duping Delight (Ekman). Duping delight is one form of smiling out of context. 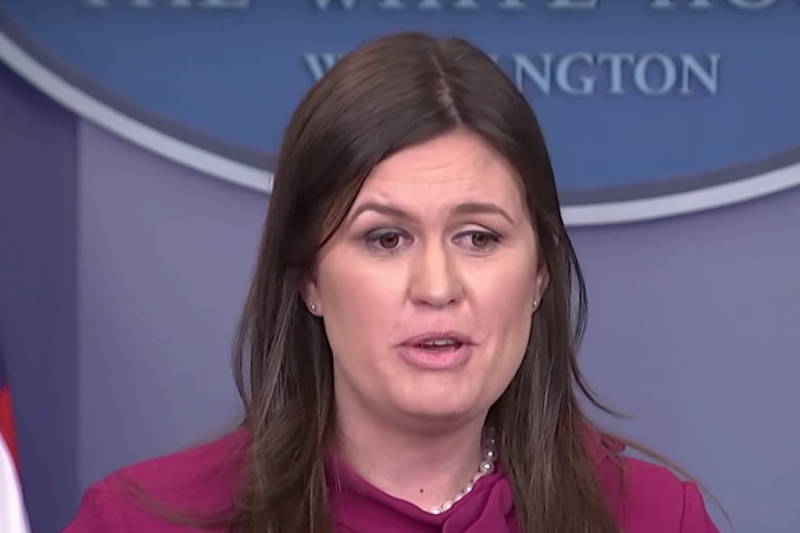 The reason Ms. Sanders is partially smiling/partially suppressing her smile - is that the subconscious mind takes pleasure in fooling people (or believing that they're being fooled [duped]). Children exhibit this behavior frequently. 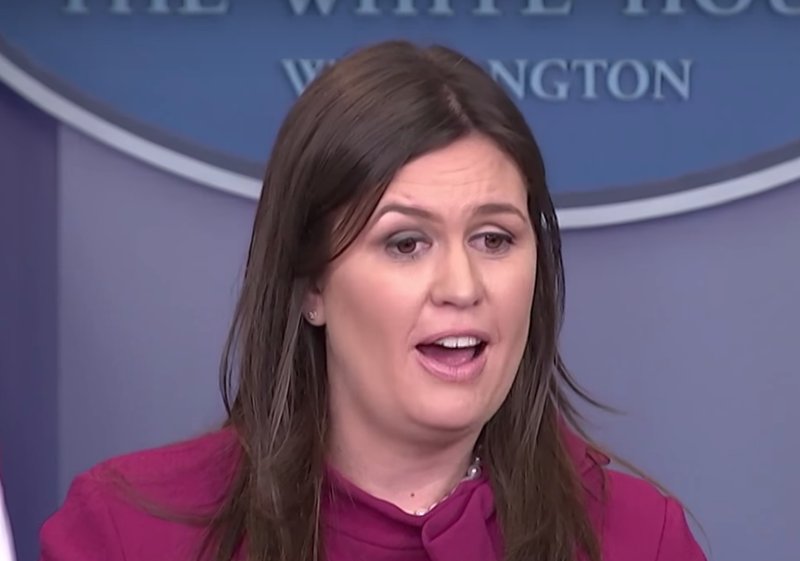 When comparing President Trump's tweet - with Ms. Sanders' attempt at explaining it - one can see that they're highly incongruous. Her answer cannot be reconciled - it's clear and demonstrable deception. Ms. Sanders' paralanguage behavior is also noteworthy. She committed many stuttering displays. Her mispronunciation of "responsibility" as "responsilibility" [sic] - further betrays her anxiety. Ms. Sanders' word choice of "responsibility" in this context is also odd. Moreover, from a strict logic point of view, Ms. Sanders' simply did not answer the question. Summary: Sarah Huckabee Sanders' lied in her answer to the journalist regarding President Trump's tweet. A word transcript alone verifies her duplicity. Her nonverbal and paralanguage displays are classic and indicative of deception. These signals are also textbook examples of duping delight and attempts at emotional suppression.